Part 4 of our hands-on guide covers simple graphics, bar graphs and more complex charts. One of the most appealing things about R is its ability to create data visualizations with just a couple of lines of code. You really can't get much easier than that. Adding a main headline and axes labels to an R plot. In addition to the basic dataviz functionality included with standard R, there are numerous add-on packages to expand R's visualization capabilities. Some packages are for specific disciplines such as biostatistics or finance; others add general visualization features. Why use an add-on package if you don't need something discipline-specific? If you're doing more complex dataviz, or want to pretty up your graphics for presentations, some packages have more robust options. Another reason: The organization and syntax of an add-on package might appeal to you more than do the R defaults. 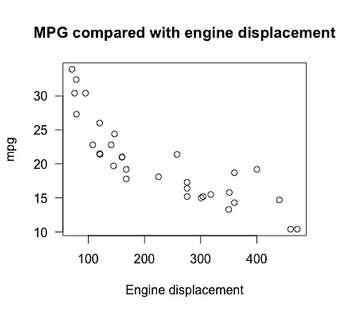 In particular, the ggplot2 package is quite popular and worth a look for robust visualizations. 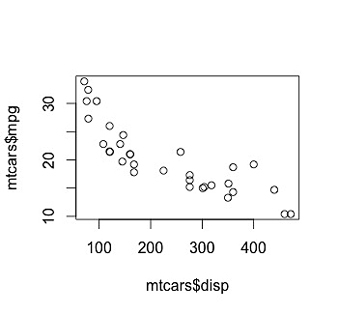 ggplot2 requires a bit of time to learn its "Grammar of Graphics" approach.